We are the leading company in the Spanish market for the automation of the engineering-to-order process since 2004. We are one of the cooperatives that make up the MONDRAGON Corporation, integrated into the Engineering and Services Division of the Industrial Area. 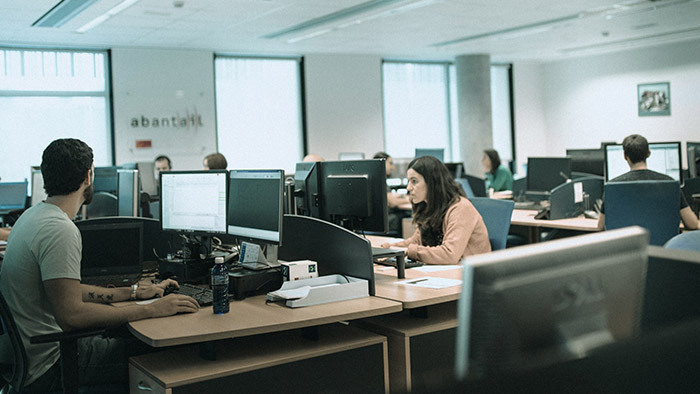 MONDRAGON is one of the most important business groups in Spain and the first in the Basque Country, with more than 260 entities, 1 university with more than 4,500 students, 15 R&D centers with more than 2,200 people and an Innovation Park. A staff of 83,000 people and sales of 13,989 million euros. Abantail was created in 2004 as a spin-off of the IKERLAN Technology Center, in collaboration with the consulting company LKS. From these companies it inherited an experience of more than 12 years in engineering-to-order automation projects (IKERLAN) and in consultancy for the improvement of the competitiveness of companies (LKS). The alliance with Siemens PLM since 2017 allowed us to exclusively incorporate the RuleStream configurator into the portfolio of Abantail solutions. Abantail actively collaborates with the responsibility Mundukide Foundation as part of its solidarity commitment and social responsibility.